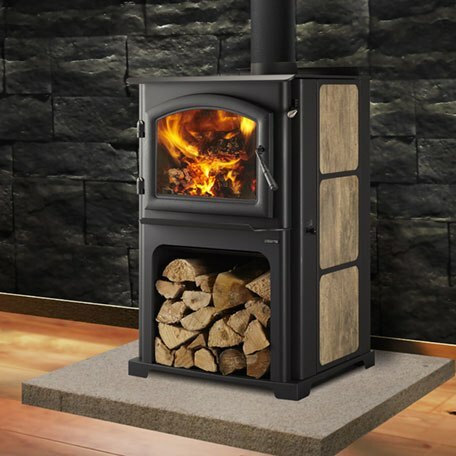 The Discovery III is outfitted with the patented Four-Point Burn System and delivers up to 63,200 BTUs of performance you can see and feel. An integrated wood storage bin holds one day’s worth of wood for added convenience. You can create a look all your own by adding any color ceramic tile or painting the solid side panel. With Automatic Combustion Control (ACC), you can rely on hassle-free heating. The Discovery III delivers the performance you expect from Quadra-Fire while packing the most heat and highest efficiency of the Discovery Series.